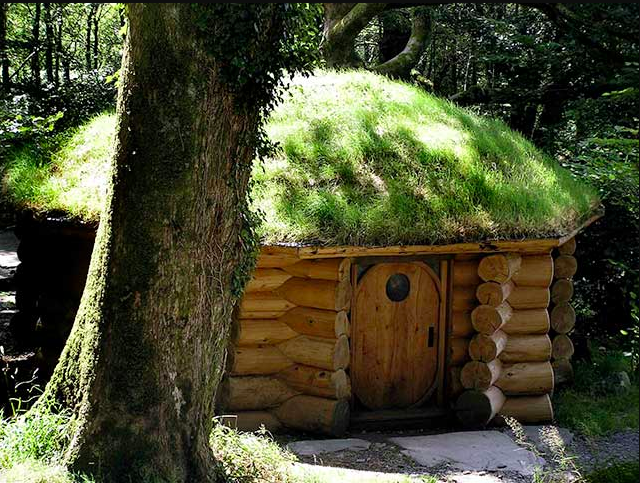 Our Gatherings are at the gorgeous Cae Mabon in Snowdonia Wales, nestled in an oak tree forest with a mountain river rushing through, in springtime wild garlic grows along the riverbank and primroses, bluebells, violets, foxgloves and other wild flowers are found in abundance. With a beautiful array of dwellings you may be resting at night in a cob cottage, a hobbit house or sweet chalet. You will be allocated your accommodation on arrival and one of our favourite features is the shower, right next to the wood fired hot tub and river. We serve a delicious plant based menu which will be gluten & nut free where possible. Even though we do say so ourselves the food at our gatherings gets rave reviews : The porridge was off the hook! Tasty and nourishing food with generous portions. The food, oh the food! During the weekend you will have the opportunity to weave, forage and try your hand at many other new and old skills. At night we gather in the roundhouse by the light of the central fire to drum, sing and tell stories. The magic of our time together is hard to articulate here, it’s where feelings have the space to be felt, where silence becomes a protective blanket and no matter the weather the nature that surrounds us shows us the way back home to ourselves. All meals, accommodation, workshops, evening rituals & ceremonies are included. Once you've booked your place you will receive all the information you need about travel, what to pack and more details about what to expect from the gathering. The nearest train station is Bangor.